I'm doing a guest blog post for 2 Crazy Texas Teachers today! Welcome, if you are visiting from their blog! I hope you'll consider following my blog on a regular basis too. If you are one of my faithful followers, please consider stopping by to visit 2 Crazy Texas Teachers today. I love that these gals refer to themselves as "crazy teachers"! Don't we all feel crazy in this job sometimes?! I just returned from my 19 day camping trip! It was supposed to be 17 days, but we were not quite ready to come home (really). My parents joined us toward the end of our trip and my mom surprised me with a special gift. 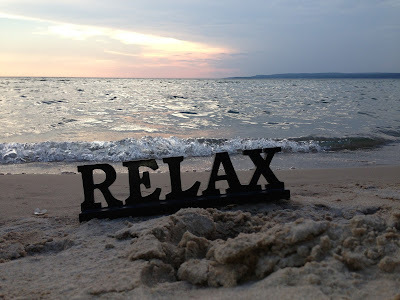 She gave me this wooden sign that says "relax". 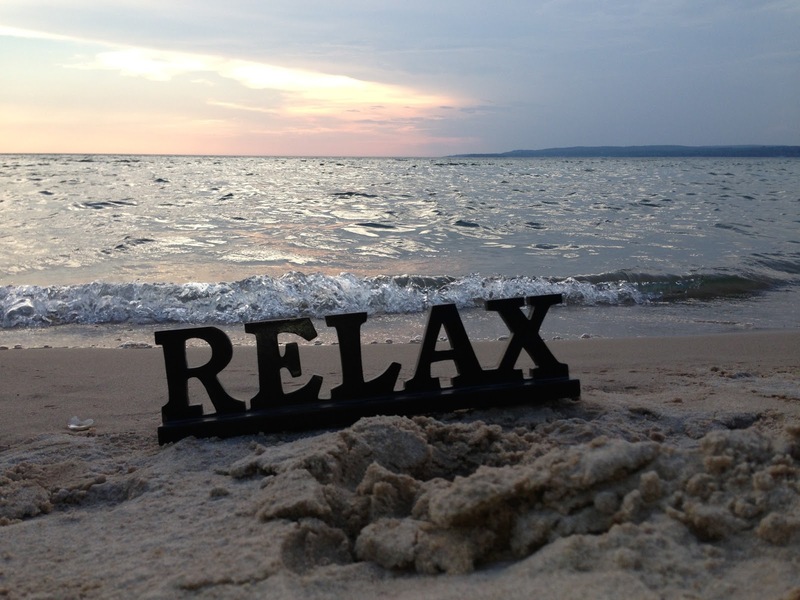 "Relax" is my OLW (one little word) for 2013. 19 days of camping was just what I need to help me relax and I love that my mom delivered such a sweet reminder. Thank you, mom! After all that relaxing, it's time to tackle the laundry mountain and get busy getting organized (at home and at school) for the new year. When I get the laundry mountain under control, I'm planning to head to school to reorganize my room while no one is around. I have big plans to go there with my messy summer bun, sing really loud and label everything in sight. Ok, maybe just a few things. I made these new labels for the bins that I keep behind my desk. I will post pictures of the bins as soon as I go there to put the new labels in place. I printed them on white cardstock and sometimes I mount them on another piece of bright cardstock. I don't usually print labels for my bins on sticker style labels, because I don't like to pick off the stickers when I want to change my labels. You can click on the picture to download if you'd like your own copy. 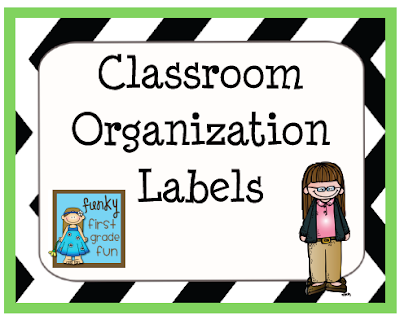 I also need to finish adding labels to some of the book bins in my nonfiction book area. 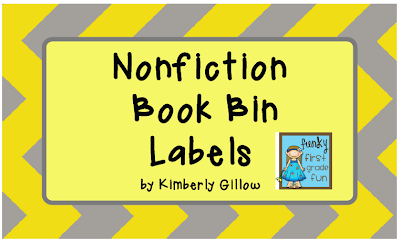 You can read a previous post about my nonfiction book bins and grab a copy of my nonfiction book bin labels by clicking on the image below. And as soon as I find composition notebooks at the right price, I'll be able to start preparing my math journals. You can click on the image below to read about how I prepare those each year. That should be enough to keep me busy while I dance around singing really loud with my messy summer bun labeling like an organizin' fool! Now, this tired girl needs to go to bed. Sleeping in my own bed after 19 days is going to be dreamy! Thanks for the guest blog post! Love it so much!